I’ve been reading all sorts of great reviews of the Nintendo Switch, but none so far have asked the really tough questions. 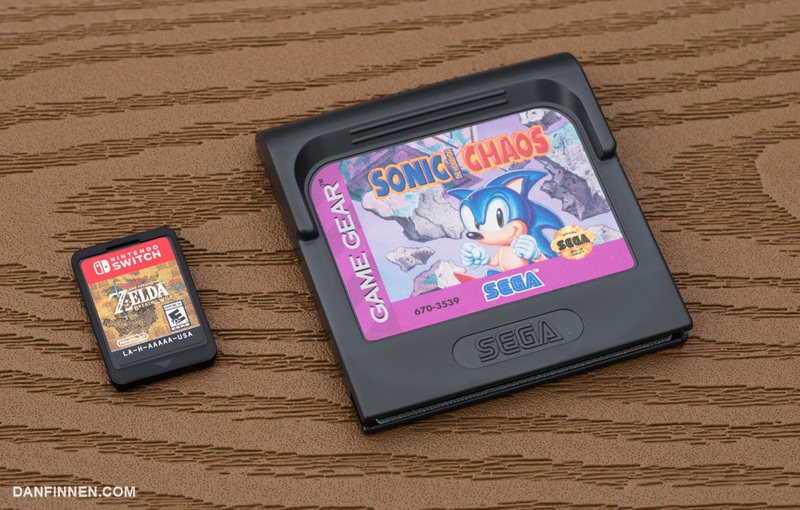 Questions like… how does it stack up against the Sega Game Gear of the 1990s? When I first got my Switch, the handheld reminded me of something I played before. Buttons on the side… screen in the middle… no, not the Game Boy Advance, that system was smaller than the Switch. Then it hit me: my beloved portable (if we’re gracious with the term ‘portable’) from the ’90s, the Sega Game Gear. 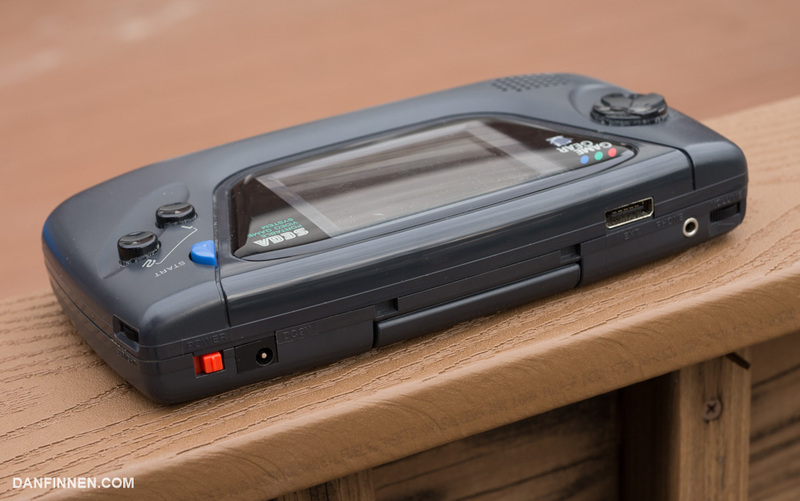 The Game Gear features a full-color backlit screen, speakers, and room for six (count ‘em!) AA batteries. The Switch also has a full-color backlit screen, so how different could they be beyond decades of incredible leaps in microprocessor technology? In Sonic Blast, it kind of looks like Sonic is giving the player the finger, doesn’t it? The Switch’s screen… oh, its glorious screen. Over the past few years, the 3DS has become the console I play the most, but the ultra-low sub-SD resolution panel makes the screen something of an eyesore. Not with the Switch. It has clear colors on a glorious 720p on a six inch screen, and it looks absolutely fantastic. I loved the Game Gear back in the day precisely because of its screen. Unlike the Game Boy, which had a dull, green/black screen that was difficult to see except under bright, direct light, the Game Gear had a full-color screen that was backlit. The backlighting in particular was critical to little Dan, as the Game Gear was best for long car rides at night. 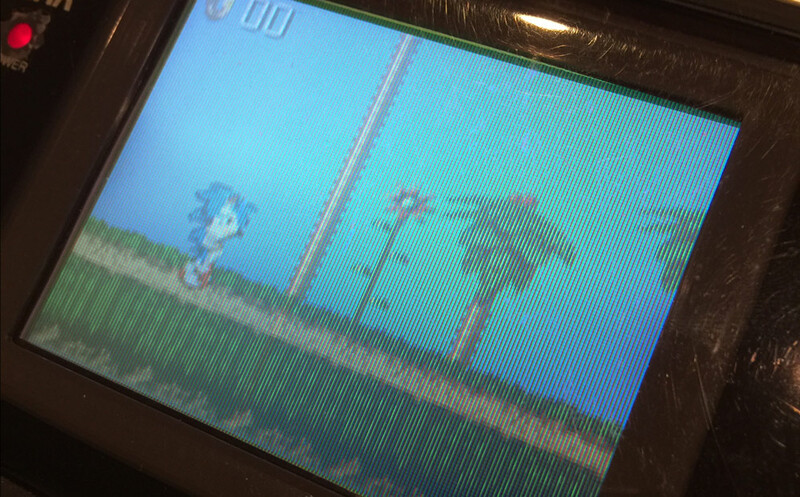 However, the Game Gear’s screen now… well it hasn’t aged so well. Especially with all the high resolution panels we’re used to staring at on our smartphones, the Game Gear looks washed out and fuzzy. Each pixel is also clearly visible, and the plastic sheet that protects it is filled with dust and covered with scratches. I was a careful kid and always kept my Game Gear protected in its case, so that’s just from light wear and tear. While it would compare fairly well to the 3DS, alas, the Game Gear loses this round to the Switch. Speaking of gripes with the 3DS, the American 3DS XL (non ’new’ version) has absolutely pathetic speakers. The Game Boy Advance SP and original DS Lite both have far superior speakers, so I don’t know how the 3DS XL dropped the ball so completely on this. Thankfully, the Switch fixes this problem, with loud, passable sound. Firing my Game Gear up, I was surprised to find the sound for that system perfectly adequate as well. It gets a bit garbled when pumped all the way up, but I have no difficulty hearing it. Looking back, the fact that a hard of hearing kid could hear everything just fine, even in the car, really spoke to the quality of the Game Gear’s speakers. Both systems have headphone jacks, as all portable devices should (coughApplecough). I’m going ahead and calling this round a tie. They may be bigger, but the Game Gear games taste better! If we’re going for quantity, the Game Gear absolutely crushes the Nintendo Switch here, although it has the benefit of being on the market for a few measly extra decades longer. The Game Gear not only plays the large Game Gear library, it can also play Master System games with an adapter. The quality… ah… well… it’s not great. Even the Sonic games are wildly uneven, and many of my games are hilariously primitive. Columns still holds up, its basic puzzle game format a staple of smart phones everywhere. The games are also physically bigger, so that counts for something, right? The Switch already has Zelda: Breath of the Wild and Shovel Knight, as well as a ton of great indie games in the pipeline coming in the near future. And honestly… if I had to choose between only Breath of the Wild and the entire Game Gear library… I think I would choose Breath of the Wild. It’s that good. Let’s be honest, the Switch isn’t the longest lasting portable ever made. Playing Breath of the Wild typically results in approximately 3 hours of battery life before calling it quits with its fancy pants rechargable lithium ion battery. The Game Gear also lasts about 3 hours on a fresh batch of batteries… but when it dies, you need to replace six AA batteries. No charging here. Young Dan couldn’t afford to buy oodles of AA batteries, so I played plugged into a wall or car socket whenever possible. Mostly the batteries served as a backup whenever my power cable was accidentally unplugged. Even with the same technical battery life, the Switch definitely wins out here. Also, big kudos to Nintendo for using USB-C to charge. Now I can charge a laptop, phone, and game system with the same cable. The road to USB-C has been rocky, but now that it’s finally proliferating it’s fantastic. Revisiting my old Gear Gear, I was struck by how light it is. 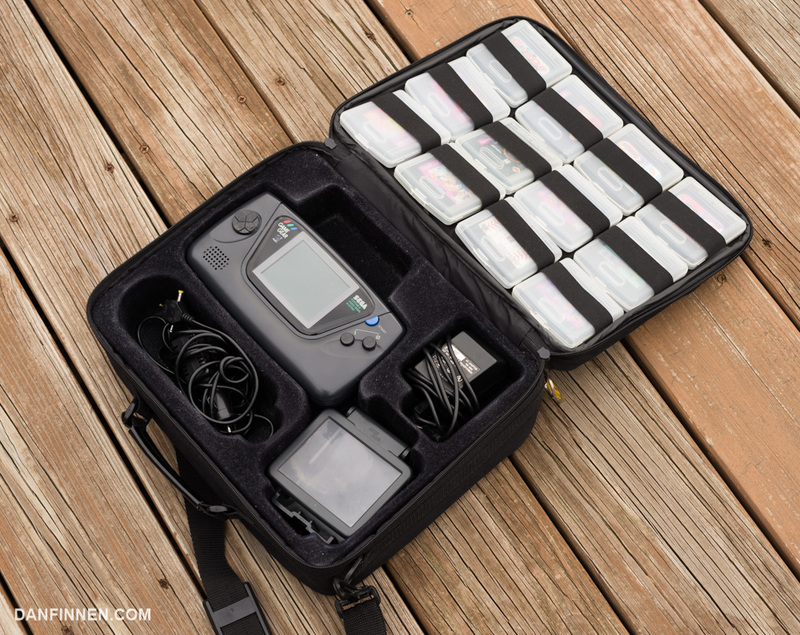 Even with six AA batteries inside, it’s a very lightweight unit. Even after all these years, it works, but some parts of it have faired better than others. The screen now has so many scratches it’s hard to see through in some light. Also, young Dan, for the life of him, could not figure out how the heck dust and hair kept getting under his Game Gear screen. The Switch feels solid enough, but I’m curious to see how the JoyCons and screen hold up over the years. With cases backordered, I’ve yet to find a way to transport it without worrying that the JoyCon controller sticks will be crushed. This is one area where the clamshell designs of the 3DS, DS, and Advance SP were awesome: nothing is more durable than a clam shell. I’m going to call it a tie here, mostly because I don’t know how the Switch will fare several decades from now quite yet. My sweet kit. That AC adapter is definitely third party, and definitely gets worryingly warm during use. The Game Gear loses some more points by having a searingly bright red LED right next to the screen. 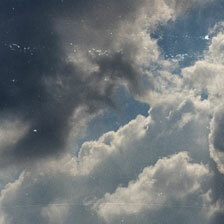 If you look closely at the pictures, you can see some tape I put over it back in the day to diffuse it. I do not understand the purpose of this LED, and it annoys me to this day. I guess we have to also give the Switch some bonus points for being playable on a television screen. But wait, the Game Gear could actually be a tv with an adapter. Unfortunately, as much as I longed for it, I was never able to acquire that particular piece of equipment. I guess I’ll have to admit that the Nintendo Switch is the clear winner here. It’s everything I wanted the Wii U to be, and Breath of the Wild is incredible. We shouldn’t have to pick though. For a glorious while, Nintendo had many Game Gear classics for sale in the 3DS Virtual Console. I’d love to be able to pick up a copy of Sonic Chaos or Super Columns for my Switch. 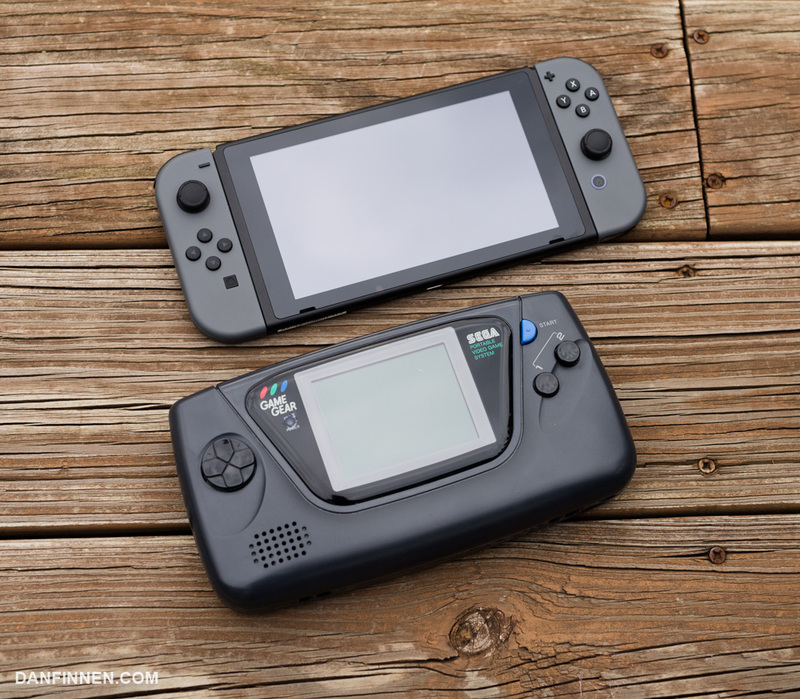 Nintendo and Sega, please make the Nintendo Switch… the best Game Gear. If you want to pick up the Game Gear yourself, using these links to Amazon and Game Gear help me keep this site running and cost you nothing. Thanks!